Grimsta Idrottsplats often shortened to Grimsta IP, is a multi-purpose stadium located in the well-planned city district of Vällingby. 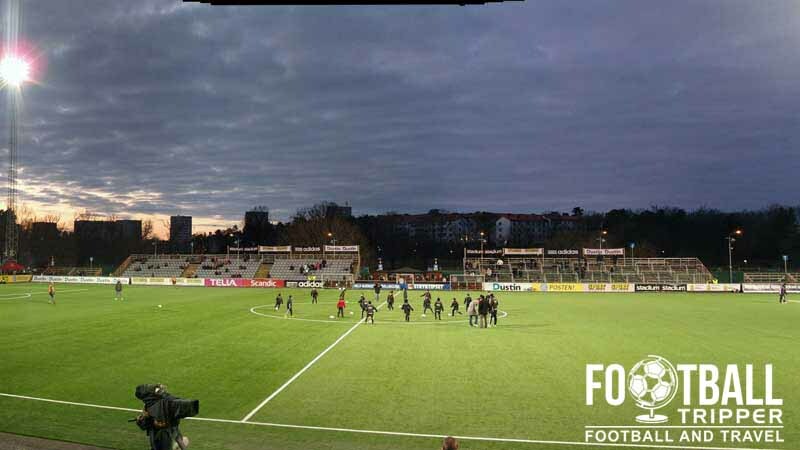 Home to Allsvenskan team IF Brommapojkarna, there are suggestions that the team are looking to expand the ground’s current capacity of 8,000. The history section of Grimsta’s ground will be written and added eventually. We can’t currently find a seating plan online, if you happen to know where we can find one then please let us know. Grimsta IP Stadium is comprised of four stands: North, East, South and West. 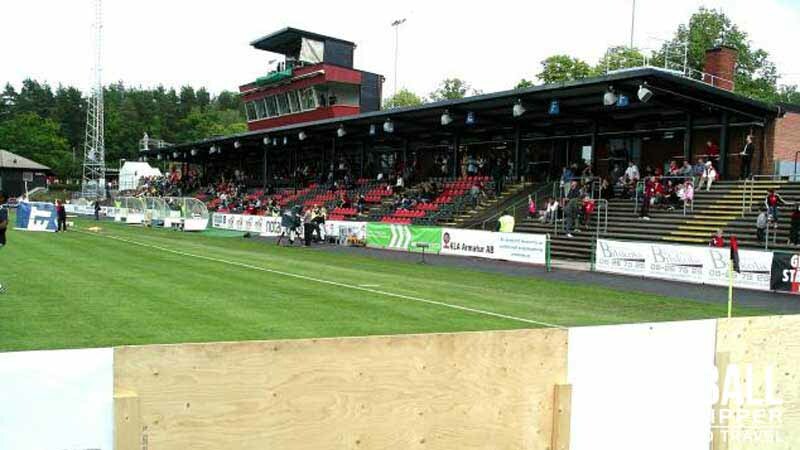 If any Swedish Football Trippers know where the away fans (Bortasupportrar) are housed then please get in touch. Official merchandise of IF Brommapojkarna can usually be purchased online from the official store. Stadiums tours of the facilities at Grimsta IP aren’t currently available and unlikely ever to be. Instead we recommend taking in a match instead if you wish to see the ground. 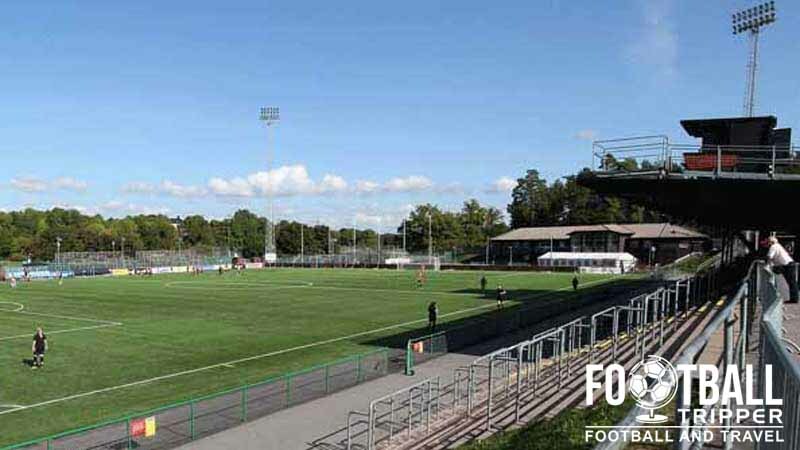 Tickets to see IF Brommapojkarna can either be purchased online or from the stadium ticket office on matchdays just before kick-off. 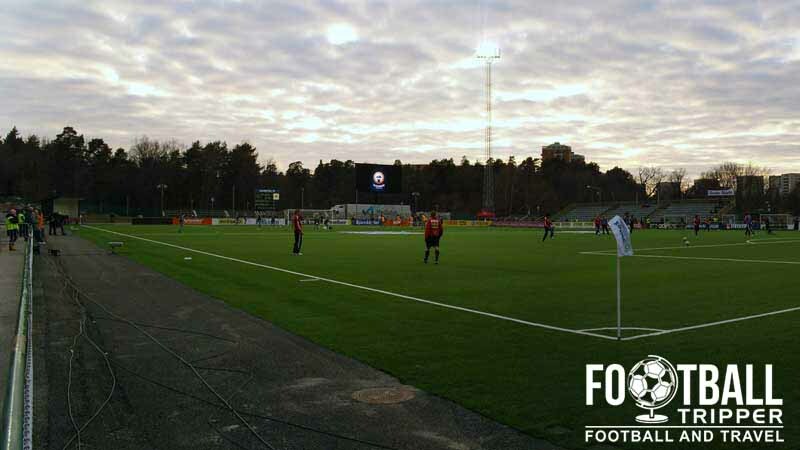 Grimsta IP Stadium is located within the Stockholm suburb of Hässelby-Vällingby which is just under 14 km west of Sweden’s capital city. From the city centre Grimsta IP stadium is around 750 metres which means it’s more than walkable for most Football Trippers in 10 minutes or so. There is a medium sized car park south of the stadium just behind the main stand off of Gulddragargränd road. Whilst there isn’t a traditional railway station there are two Subway stops which connect Hässelby-Vällingby to Stockholm city centre. Both Johannelund T-bana and Hässelby Gård T-bana are just over 1.0 km away which equates to a walk of around 15 minutes. Bromma Stockholm Airport is only 7 km away from Grimsta IP stadium, with the larger Stockholm Arlanda Airport 40km north along the E4 motorway. Hässelby slott hotel and conference centre appears to be the only accommodation option within the local area.